New businesses that join the Esri Startup Program receive online services, software, content, training, and support so they can incorporate mapping and location analytics into their products. Mapillary, a Swedish startup that wants to map the world using street-level images, has been in the program for three years. In that time, Esri has relayed deep technical knowledge of the ArcGIS platform and helped connect this GIS newcomer with all the right industry touchpoints. Recently, Mapillary teamed up with Esri partner Bruce Harris & Associates, Inc. (BHA), to help Erie County, Ohio, improve how it conducts recurring property reappraisals on a small island in Lake Erie. Having a street-level vantage point from which to verify appraisal data ensures that Erie County’s property assessments are accurate and up-to-date. Like most counties in the United States, Erie County is required to conduct property reappraisals every six years. On Kelleys Island, located about four miles off the mainland in the western basin of Lake Erie, staff members from the county auditor’s office were doing property inspections using paper maps and printed property records. Because the appraisals required checking the grade and condition of all county buildings on the island, auditors had to visit every single site. Even though the island is just over four square miles in size, this workflow took up a lot of time, was too prone to human error, and was difficult to replicate every six years. So Erie County sought to improve how it conducted fair and equitable property assessments. The GIS team at the auditor’s office opted to set up a digital, geospatially integrated workflow. 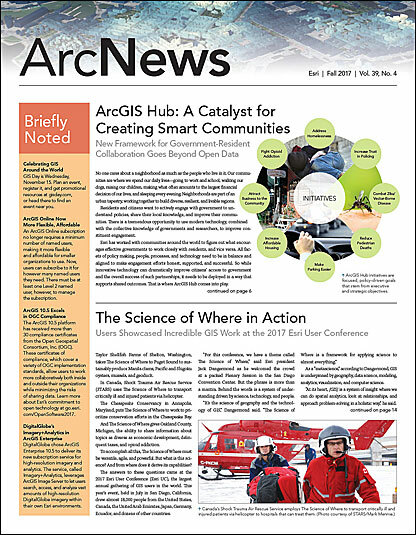 First, the county worked with consulting firm BHA to implement its Paperless Reappraisal System (PRS), a set of apps that uses ArcGIS for Local Government solutions and ArcGIS Online to make the entire reappraisal process—from data collection and review to quality control and workflow management—digital. PRS works directly with Erie County’s GIS by linking appraisers to county land records and up-to-date georeferenced information. Still, the county wanted to be able to simulate the site visits required to check the building grades and conditions. To make that happen, BHA partnered with Mapillary to use its street-level imagery and computer vision capabilities in conjunction with BHA’s own PRS Photo Reviewer app. Combining geography, automation, and advanced analysis techniques, Mapillary’s imagery platform automatically turns 2D photos into 3D street views by stitching images together at points that match up; recognizing objects in the images; and generating map data such as street signs, road characteristics, and building types. Thus, whereas BHA’s app provided useful oblique imagery of Kelleys Island, Mapillary’s addition of a street-level angle gave the county the vantage point it needed to fully simulate site visits. This integration was cost-effective and sped up the appraisal workflow. It took eight hours for this crew to capture photos of the entire island that could be used in Mapillary. 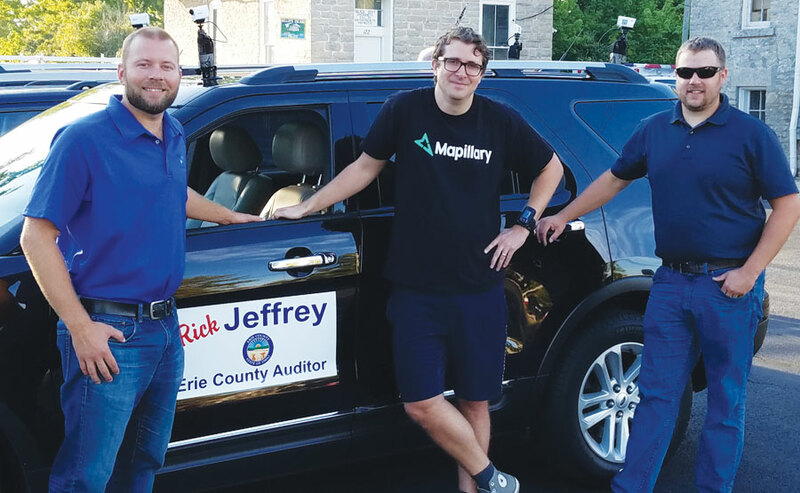 To carry out the reappraisals, Mapillary personnel and BHA staff, along with Erie County auditor Richard Jeffrey and his staff, equipped a county vehicle with four action cameras (which are small, lightweight, and splash-proof) to capture street-level imagery of the entire island. Photos were taken over a span of eight hours. They were then uploaded to Mapillary, which scrubbed the images to remove faces and license plates, point matched them, and stitched them together to create the street-level viewpoint. Back at the office, BHA staff verified parcel characteristics such as assessed building grades, property condition, and construction materials. Staff from the county auditor’s office viewed all the work via the PRS Photo Reviewer app with Mapillary’s integrated photo viewer capabilities. Using the app with Mapillary allowed Erie County office employees to see the appraisal process through the eyes of field staff. And having a street-level vantage point to verify appraisal data ensured that property assessments were accurate and up-to-date. Leveraging Mapillary’s technology, along with software from Esri and BHA, provided Erie County with street-level imagery that met its assessment needs. The resolution and quality of photos—all taken by staff while driving the streets of Kelleys Island—exceeded the county’s expectations. The photos effectively supplement the county’s workflow for checking the grade and condition of any building. And because the imagery is integrated with PRS using Mapillary’s API, county staff can navigate from parcel to parcel smoothly. With this street-level imagery and its metadata, appraisal managers and county constituents can now see information that Erie County previously had to attain by making site visits to each individual property. Additionally, data entry teams can use the always-available imagery to ensure the quality and consistency of building characteristics. Overall, the integration saved the county time and money. Thanks to this collaboration between a young startup and a veteran Esri partner, Erie County is on track to meet its sexennial reappraisal mandate.